Journalist and noted author Elizabeth Fishel takes an in-depth look at the relationships and dynamics between sisters. The intense bond of sisters -- sometimes best friends, sometimes rivals -- is as important as the relationship between mother and daughter. Through interviews with more than 150 women combined with poignant photographs, Fishel investigates this important family link, revealing intense competition, unwavering devotion, and profound ambivalence. 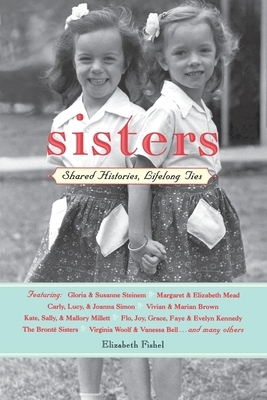 This extremely insightful chronicle of the lifelong passage of sisterhood looks at the implications of birth order, patterns of family roles, rivalries, and polarities, as well as sisters' influence on each other's sexuality and creativity. Fishel explores this important bond through fairy tales, mythology, literature, and revealing interviews with and discussions of such women as Carly Simon, Erica Jong, Adrienne Rich, Kate Millet, Gloria Steinem, Ntozake Shange, and Margaret Mead. Fishel also examines the behind-the-scenes stories of such famous literary sisters as the Brontes, Virginia Woolf and Vanessa Bell, and Louisa May Alcott -- whose Little Women series has become a hallmark of sisterhood -- and her sisters. This is an important book for sisters everywhere. "The pains, the joys, the mysteries, the dreams -- all these are explored with candor and sensitivity". -- San Francisco Chronicle.